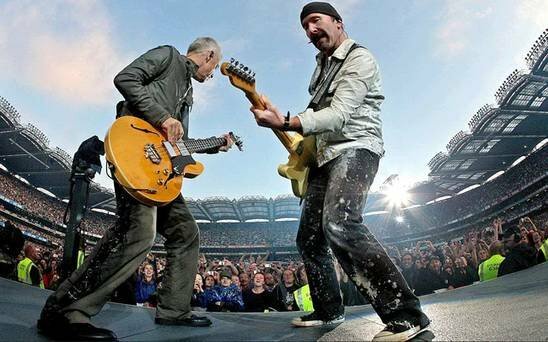 Photo gallery of U2 in concert. 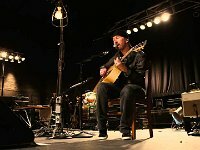 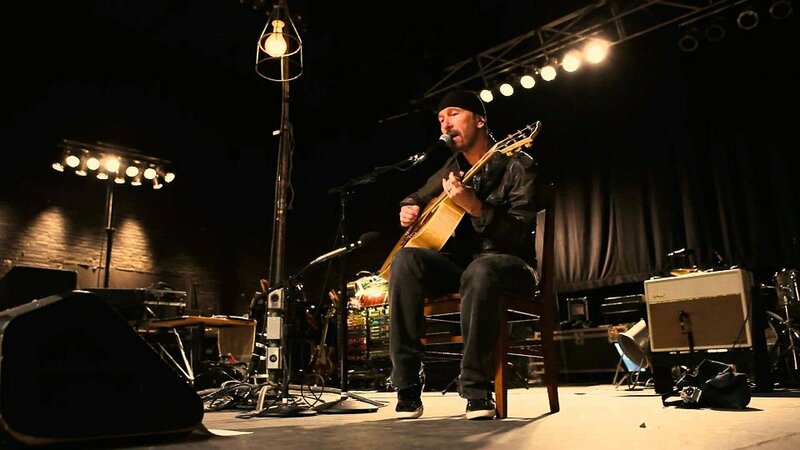 1 U2 Guitarist The Edge (left) and U2 play an acoustic number. 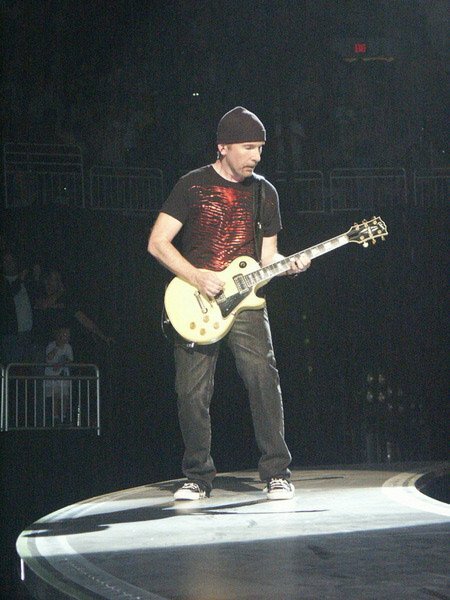 2 U2 The Edge displays his solo talents in a pair of black chucks. 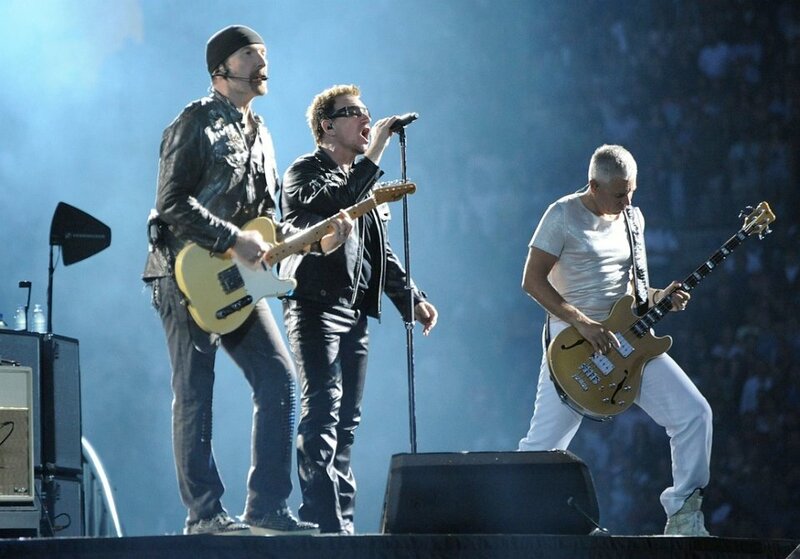 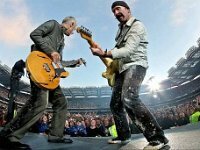 3 U2 The Edge and bassist Adam Clayton rock out to a sold out crowd. 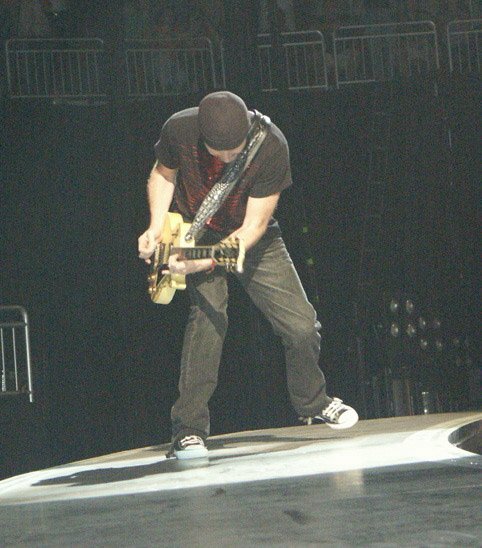 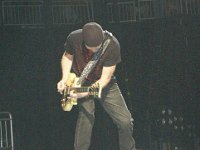 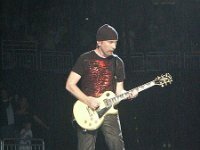 4 U2 The Edge playing his guitar in concert. 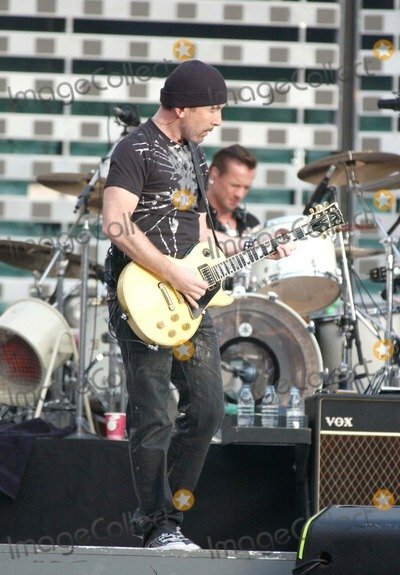 5 U2 Guitar player The Edge, Singer Bono and bass player Adam Clayton of U2 performing at Qwest Field on June 4, 2011 in Seattle, Washington. 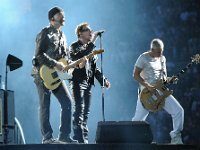 6 U2 Perfoming on a proscenium. 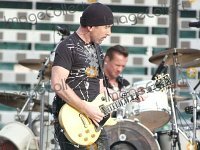 7 U2 The Edge in concert.